All the lemon trees are laden, their branches groaning under their loads and everyone looks pained at the thought of wasting such abundance. 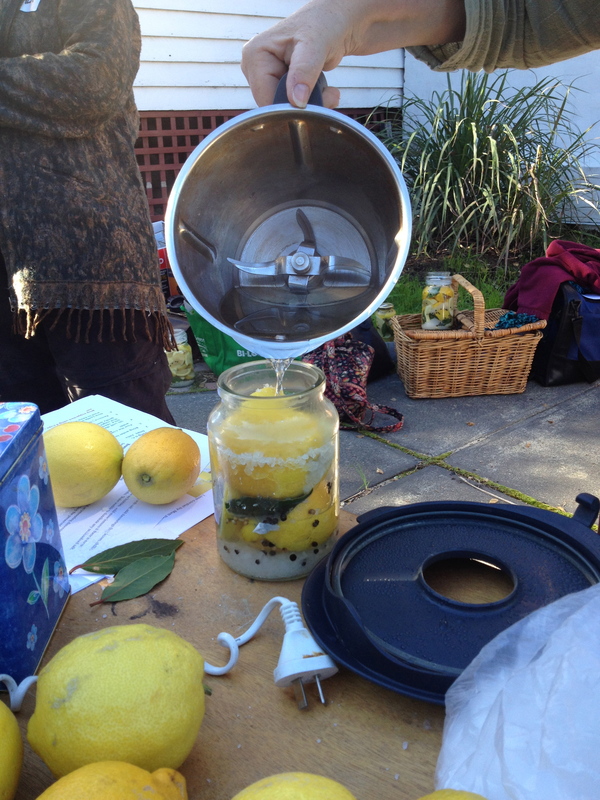 Armed with about 30kg of lemons, the Kitchen Gardeners tackled the job at their July workshop, generously hosted by Barb. They’re very simple to make and have lots and lots of culinary uses. As well as the two recipes on the linked document, a quarter of preserved lemon rind, chopped finely adds a sophisticated undertone to beef casseroles and soups. They’re lovely in chicken dishes and with fish. Just don’t eat the flesh of the lemon, it’s horrible. The rind is the good stuff! 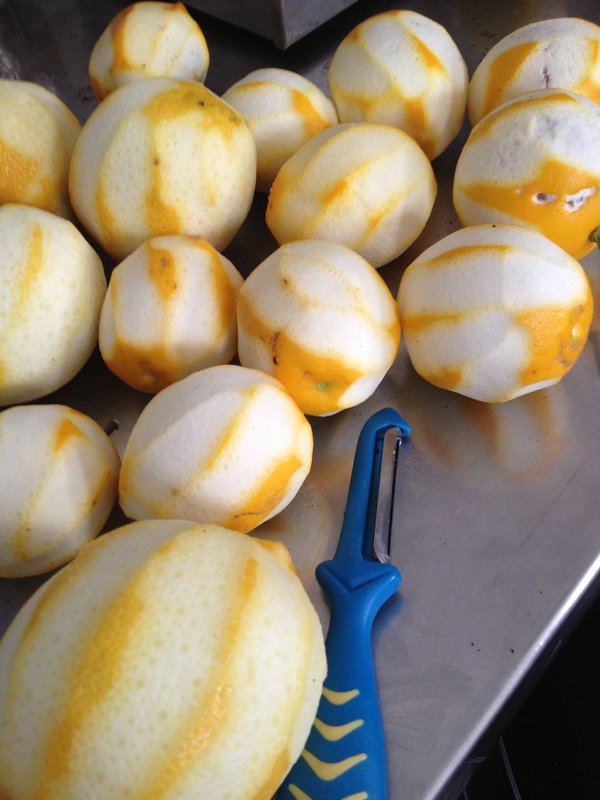 Lemons are great to eat, but their uses don’t stop there! This fabulous-looking gloop is a very effective – and sweet-smelling – household cleaner. It’s simple to make and simple to use. 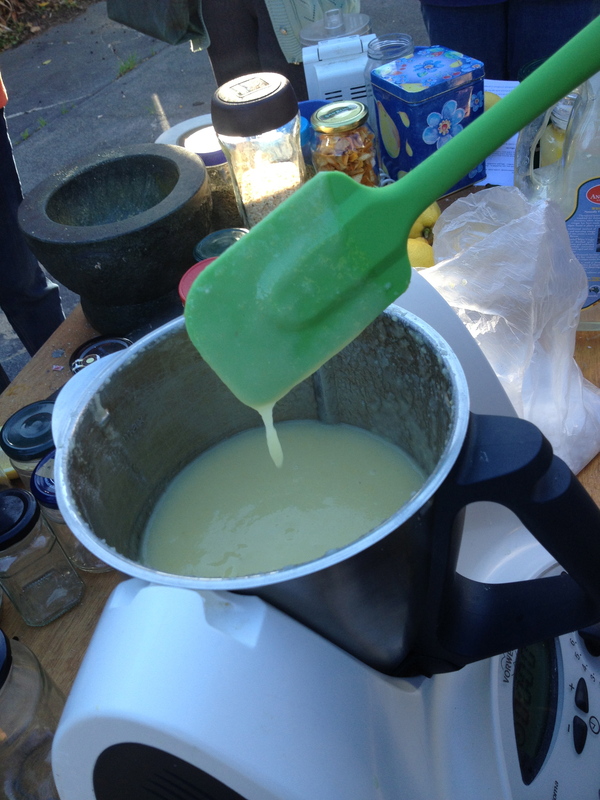 While we made ours up at Barb’s place using her thermomix, you don’t need one. As it has no preservatives, it won’t keep long, so store it in the fridge, but make up little amounts so it’s fresh. 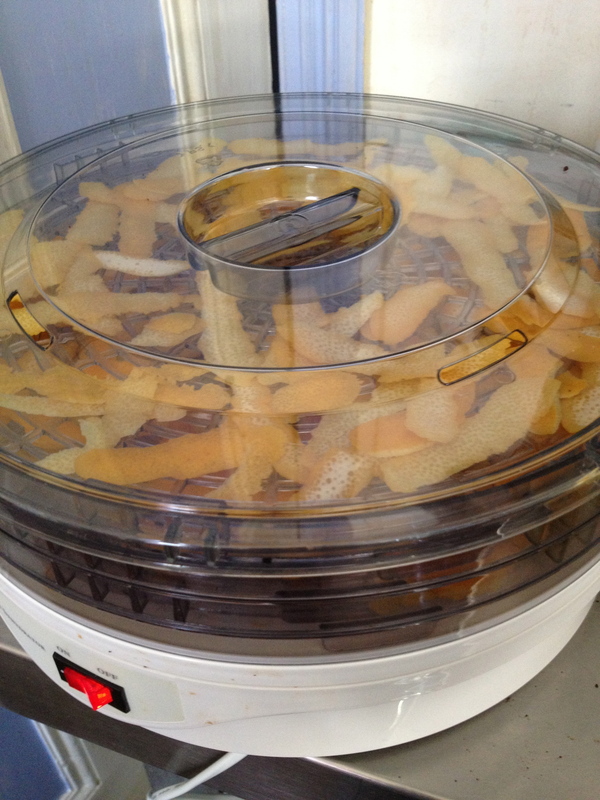 Lastly, with the aid of a dehydrator, we made spiced lemon salt. 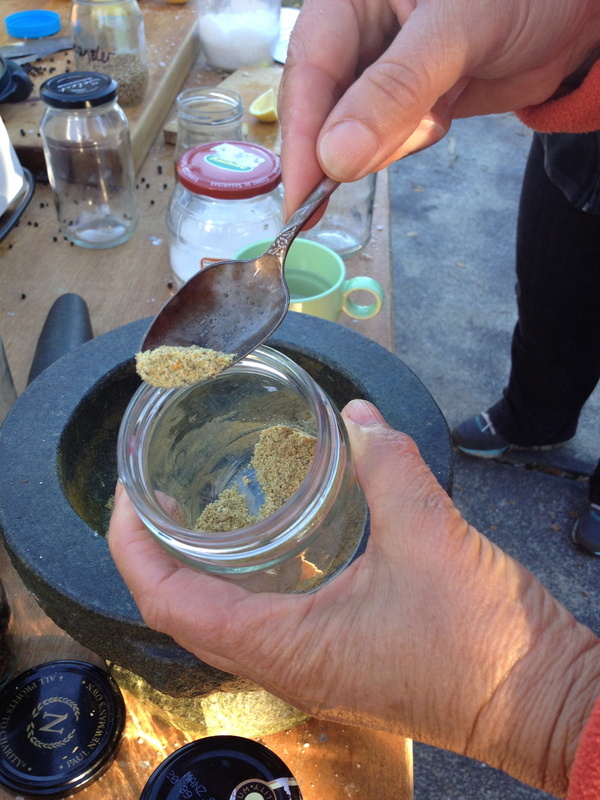 Take a decent handful of dried lemon peel, a bit of salt and whole peppercorns, some fennel seed, coriander seed, fenugreek, dill seed or whatever other spice appeals and crush to a fine powder in a mortar with your pestle. We tried this in a food processor, which mixed the components nicely, but didn’t crush them. Then someone had a brainwave and we added fresh basil – divine as a rub for roast meat or over root vegetables. Now how many people will be saving little jars and filling them with spiced lemon salt as Christmas presents? This entry was posted in Food, Kitchen Gardeners and tagged Cooking, Growing food, kitchen, sustainable food production. Bookmark the permalink.